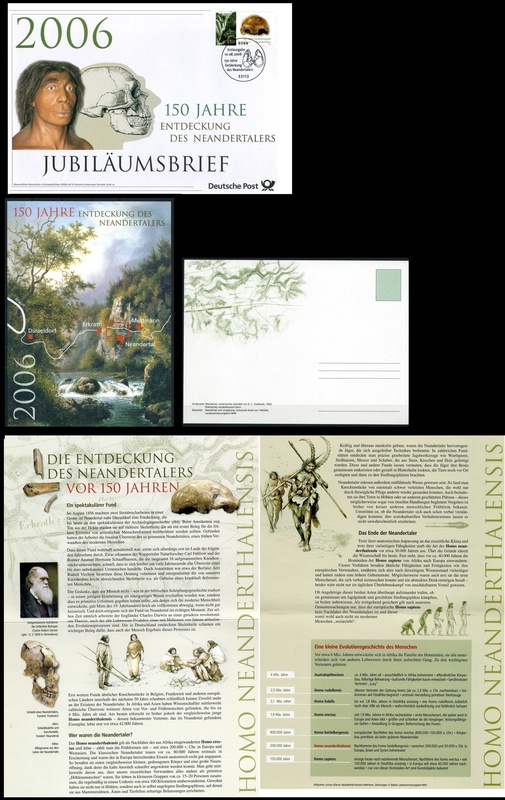 Germany 2006 "150 years of descovery of Neandertaler"
Some more drafts can be seen in presentation created by Peter Brandhuber (on German), collector of human evolution stamps. 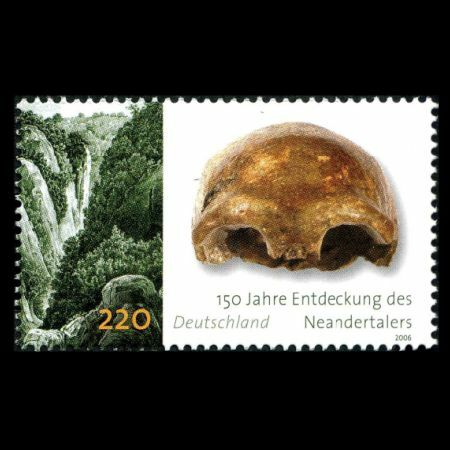 1856 remains of the skull and other skeletal parts of a Urmenschenart was found in the Neander Valley near Dsseldorf, which was then named after the place "Neanderthal". The news was a worldwide sensation. 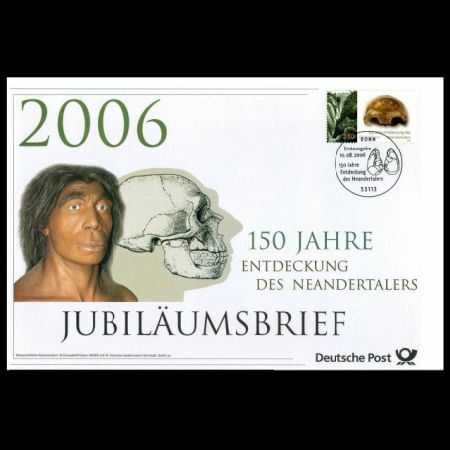 The comparison with other finds of similar fossils showed that the Neanderthals lived from about 130,000 years ago to about 30,000 years ago. 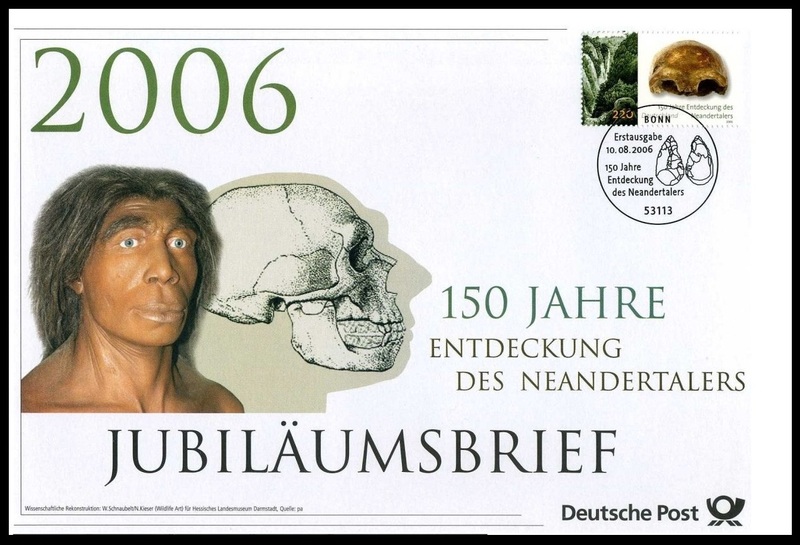 However they were not direct ancestors of modern man (Homo sapiens), but a parallel, independent of branch in human evolution tree. Her body was built stronger than that of modern humans. 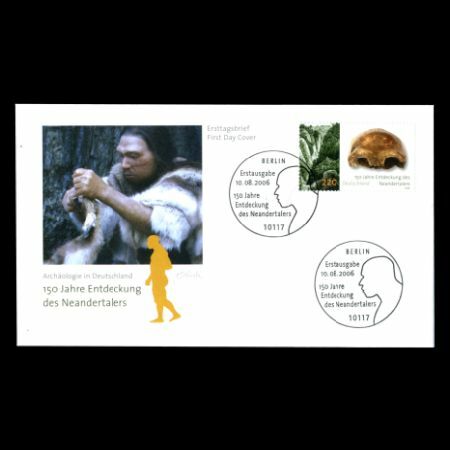 Neanderthals lived in communities and used tools and hunting weapons. 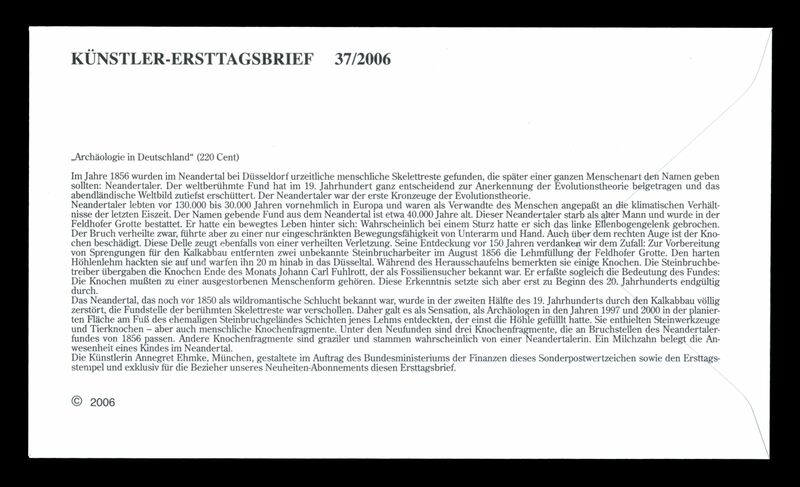 The reason of their extinct, is still not known. 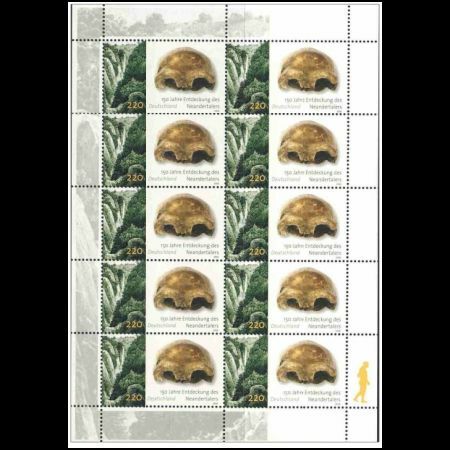 In additional to commemorative postmark of Bonn and Berlin another four postmarks of different locations issued by Deutsche Post. 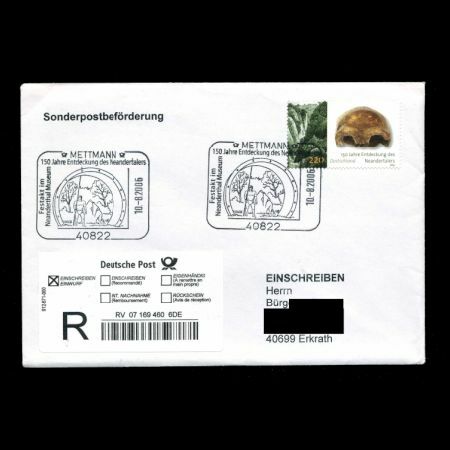 Postmark of Berlin used on official FDC of Deutsche Post, postmark of Bonn used on Souvenir Sheet and anniversary letter. 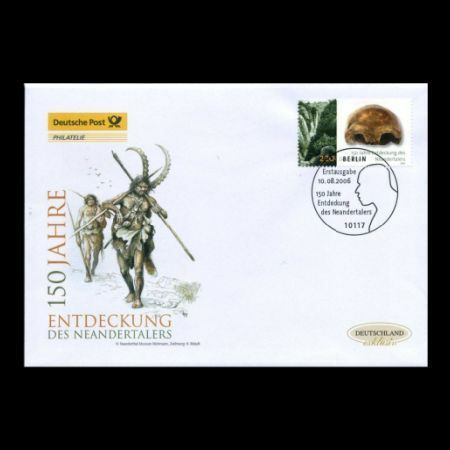 Offcial FDC of Deutsche Post (to see some more FDCs please click here) Personalized FDC signed by stamp designer, Annegret Ehmke. 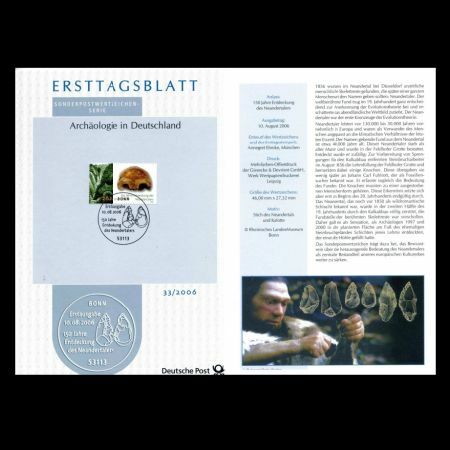 (The signature is under bottom-left corner of the illustration.) 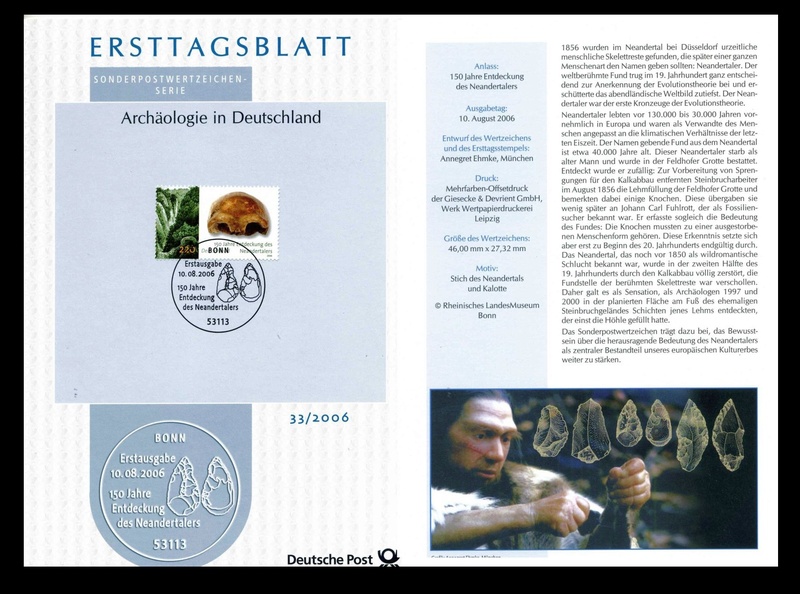 Reverse side of the cover have some background information (on German).